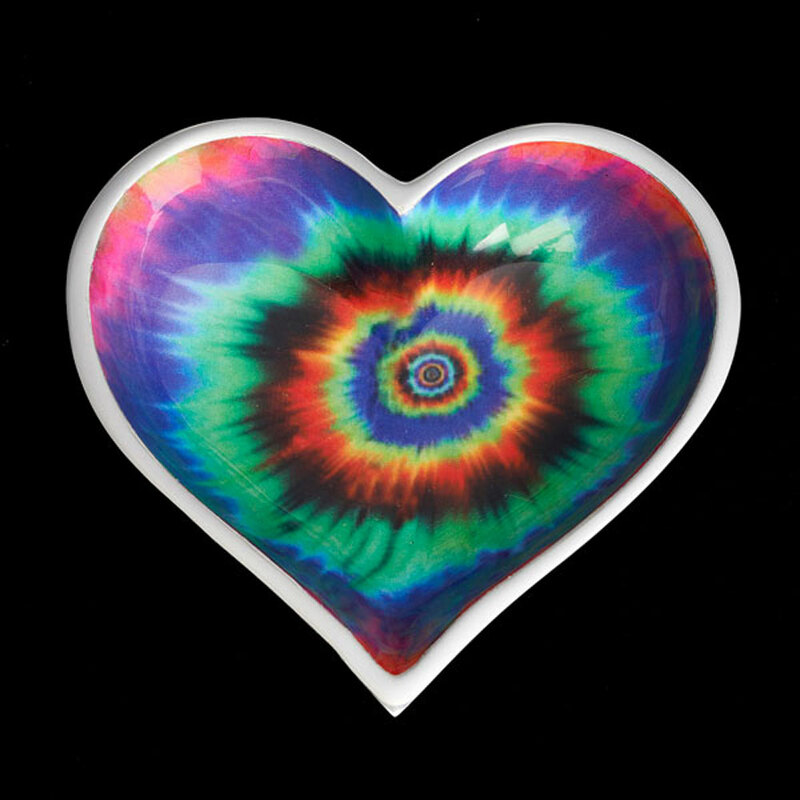 Groovy Heart wears a funky tie-dye pattern! Fill this Happy Heart with candies, nuts & dips...or use it as a colorful catchall for jewelry & other small items. Handcrafted of food-safe polished aluminum, each 5" dish comes with a shiny 4" Lil Heart Spoon & nests perfectly with our smaller 4" Tiny Hearts for double the love!